Leonard Bernstein gave American music so much more than West Side Story. Of all the figures in the American cultural pantheon, there are few who have had a broader cultural impact than Leonard Bernstein — composer, conductor, performer, queer and Jewish icon, and genius. As today’s Google Doodle celebrates Bernstein’s 100th birthday, you might be tempted to whip out your copy of West Side Story and indulge in a reminiscence of “Somewhere” or “Tonight” or “Cool,” or any of the other brilliant songs that have made the Bernstein-Sondheim masterpiece such an enduring part of our modern musical lexicon. But let us suggest a different approach to celebrating Bernstein’s birthday. Though it may be tempting to stop at West Side Story, if you did, you’d be missing out on a wealth of gorgeous music from the man who churned out hundreds of works before his death in 1990. Bernstein’s complete oeuvre is massive, spawning everything from Broadway musicals to jazz singles to symphonies and ballets. 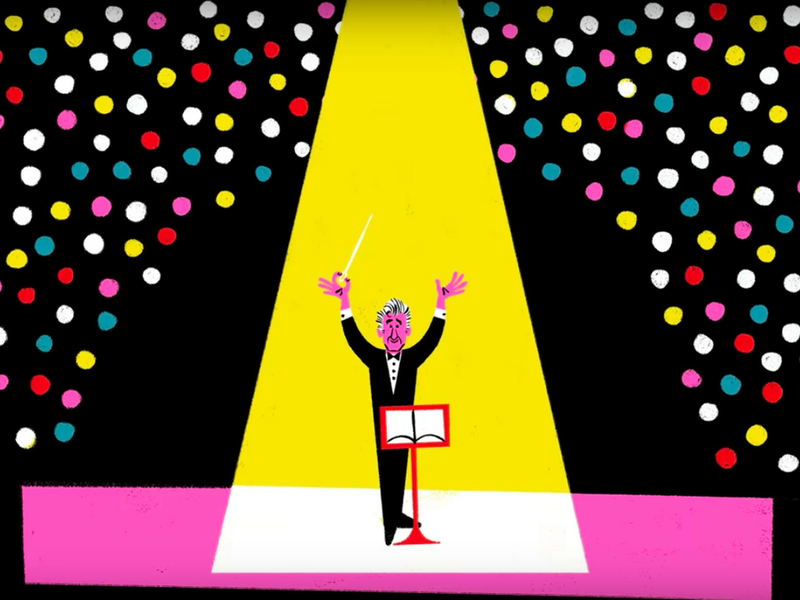 Here are five seminal works by Bernstein that you shouldn’t miss if you want to understand what made him America’s greatest composer. But if you only watch the movie, you’ll miss much of the beautifully intricate instrumental music that Bernstein deploys throughout this intense dance musical. Bernstein, whose music at all times sounds as if it were unearthed from the city itself (even down to the trains that sing “Somewhere”), has rarely sounded more like the city than he does in this story of sailors who come to New York for a 24-hour adventure. Written in 1965 for a festival at Chichester Cathedral, Bernstein’s piece for choir and boy soloist is one of the few works in the classical music canon to be written in Hebrew. Though it’s one of the most famous choral works around, it’s rarely performed because, as you’ll instantly hear, it’s freaking difficult — which of course just makes it all the more exciting. If you hadn’t already gathered this from the fact that Bernstein wrote a choral piece for an Anglican church and set it in Hebrew, his views on religion were complicated and contentious. Nowhere is that more evident than in his scandalous, shocking, and beautiful Mass. Featuring lyrics by musical theater icon Stephen Schwartz, fresh off creating Godspell, Mass is both a savage attack on religious hypocrisy and an attempt to unify religious discord through faith. But we’re going with his early musical Wonderful Town, again a collaboration with Comden and Green. In many ways a forerunner of On the Town, this is another dance musical about life in vintage New York, this time told from the perspective of two sisters living in the Village. Though it’s rarely performed and inevitably dated, Bernstein’s score for Wonderful Town is as fresh and vibrant as anything he wrote afterward — and nowhere do we see that more than in its most endearing and enduring song, “A Little Bit In Love.” Please enjoy Cynthia Erivo bringing this list home — because it’s Saturday and Leonard Bernstein would want you to have nice things.